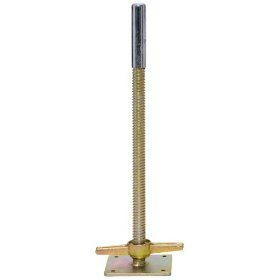 Leveling jacks with rigid with base plate, not for use with casters. Use 4 on any outdoor or sloped surface to level tower. * Please call us for any questions on our scaffold leveling jacks w/base plate rentals in Portland OR, Gresham OR, Milwaukee OR, and surrounding metro area.